The Main Gardens consist of an Upper and Lower Section. The Upper Gardens centre around “The Gong”, a small lake which is encompassed by a walking path. The ground to the North and East rises steeply to the Roman Catholic Church of St. Peter and Pauls. On these slopes there is a scattering of introduced European trees. 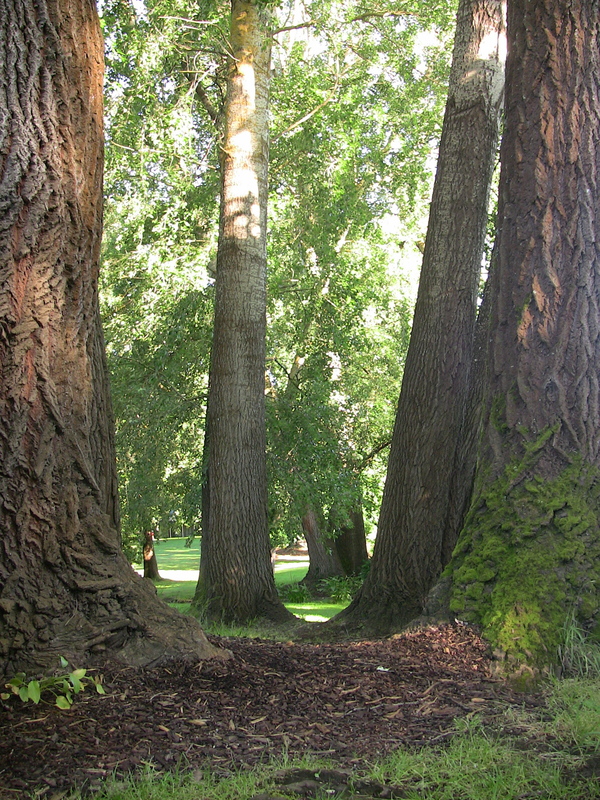 This area has been recently developed with specimen trees of the Maple family (Acer species). 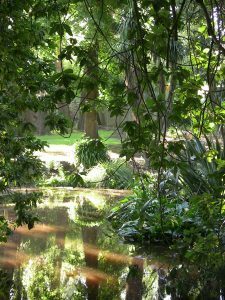 The picturesque Lower Section of the Botanic Gardens contains an historic Victorian Rotunda, an ornamental pool with an island, and a variety of exotic labelled specimen trees and shrubs. There are also toilets, a barbecue area and play equipment. 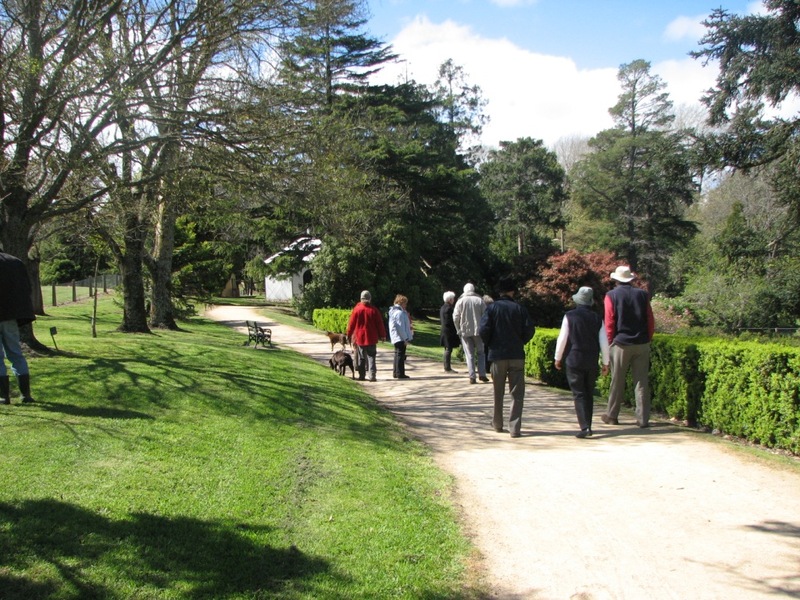 The gardens became a popular wayside stop for travellers and picnickers who came by train from Ballarat for a day’s outing to admire the ‘hilly picturesque countryside’ and the ornamental trees and flowering shrubs. The railway era was the heyday of the Buninyong Botanical Gardens. The service ended in 1937 and the track was dismantled in 1947. An Araucaria columnaris, or Cook Pine, was planted in the Botanic Gardens on 28 August 2008. The young tree, which is a native of New Caledonia, replaces an older one in the Gardens that died some time ago. 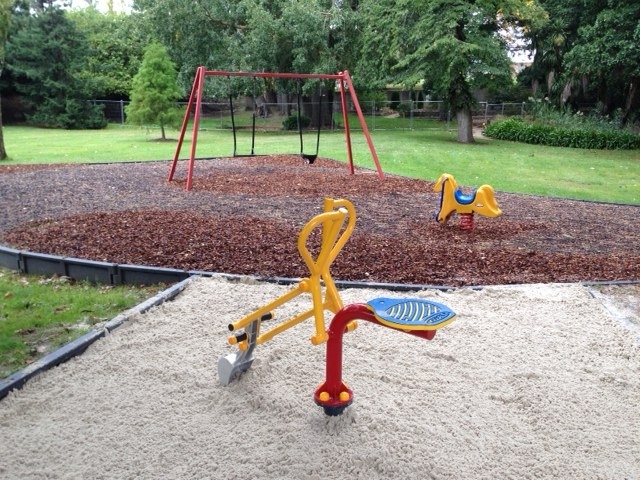 Check out its progress amongst the other splendid mature trees next time you’re in the Gardens.